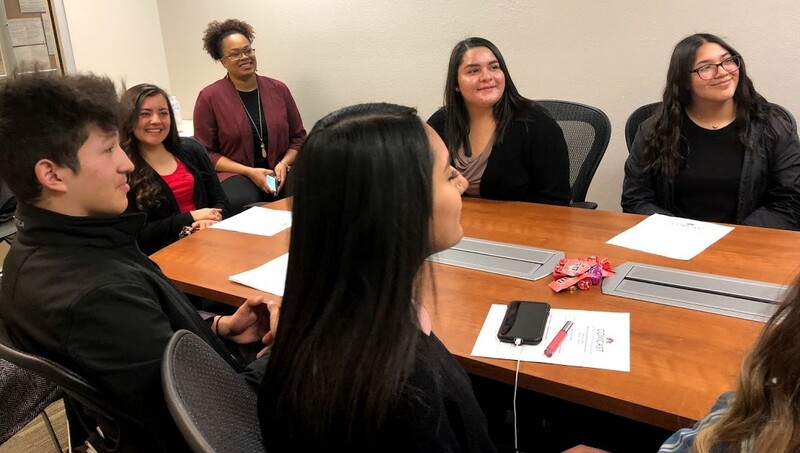 Last week, Comcast hosted 60 students from Rio Grande High School in Albuquerque as part of the 2019 “Groundhog Job Shadow Week” organized by Junior Achievement of New Mexico and Mission: Graduate, a program of United Way of Central New Mexico. During their visit, students learned more about the variety of career paths and opportunities available at Comcast. The students spent time with leaders from Human Resources, External Affairs, Sales & Marketing, Comcast Business, Comcast Spotlight, Engineering and Construction, Technical Operations, and Customer Care. Students visited a total of six “stations” at Comcast, hosted by department leaders who shared their personal career journeys and offered hands-on experiences for the students. 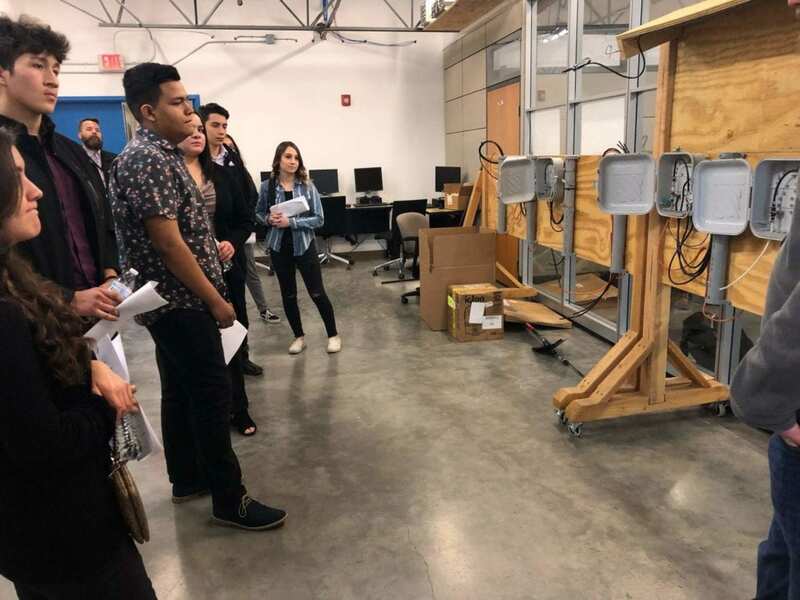 At the technical operations station, students learned more about our fiber network, customer experience priorities, and the qualities hiring managers look for when interviewing candidates. Junior Achievement reports that after a job shadow experience, students better understand the importance of staying in school, are able to connect what they learned during a job shadow experience to real life, and believe that they are better prepared to research and recognize job opportunities. 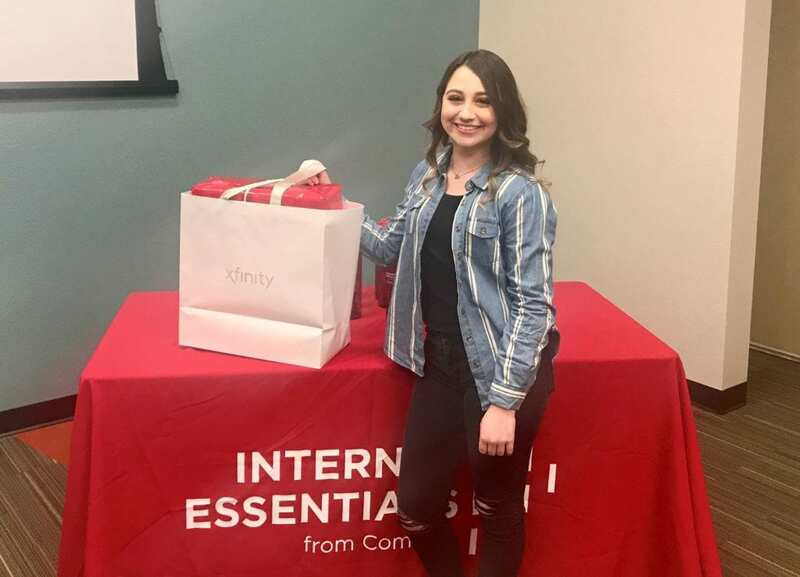 As part of the job shadow festivities, Comcast shared information about our commitment to digital inclusion and Internet Essentials, the nation’s largest and most comprehensive broadband adoption program. Each student received an Internet Essentials water bottle and Kimberly Mitchell went home with a free laptop computer. “I am really grateful to Comcast for giving us the opportunity to tour their company. It was amazing to be able to win the laptop and participate in this job shadow opportunity,” said Rio Grande student Kimberly Mitchell.